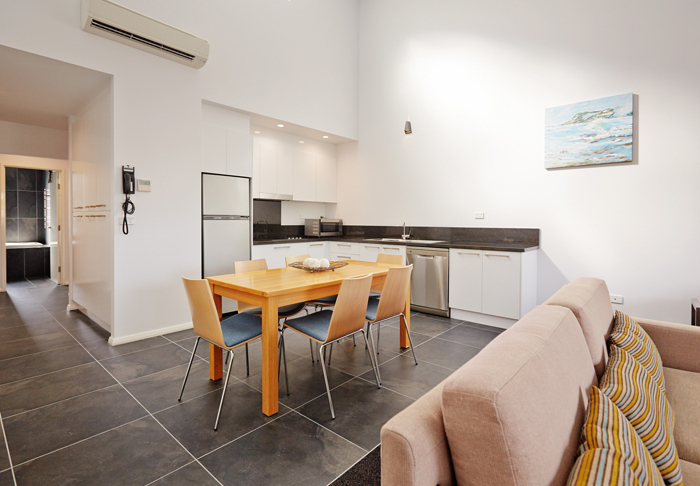 Crown on Darby offers spacious, comfortable, luxury serviced apartments and exceptional customer service, located just steps from the boutique shops , funky cafes and award winning restaurants of Darby Street. It's a great base from which to strike out and explore the city, beaches and surrounding areas. In addition, Crown on Darby provides accessible rooms- please contact our helpful reception staff direct to fulfill your specific requirements. With attention to detail, the rooms feature contemporary decor, comfortable beds, modern bathrooms and balconies. 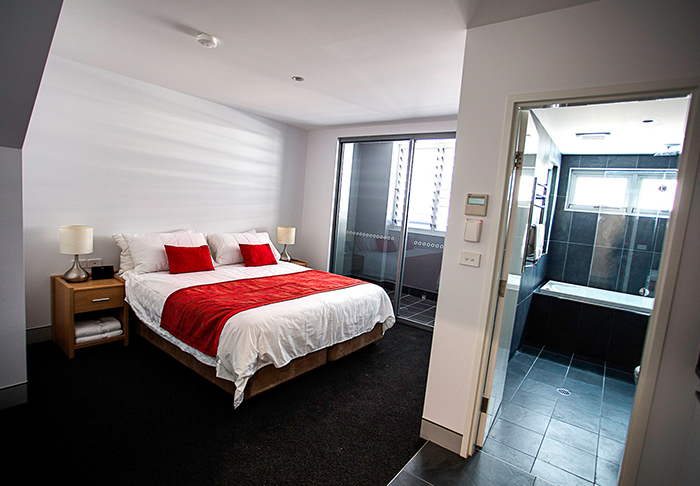 For work, leisure or family stays, see below for a room type below that will suit your needs. Underground secure parking is available on site. Parking requests are confirmed via phone 72 hours prior to check in. Additional fees apply. 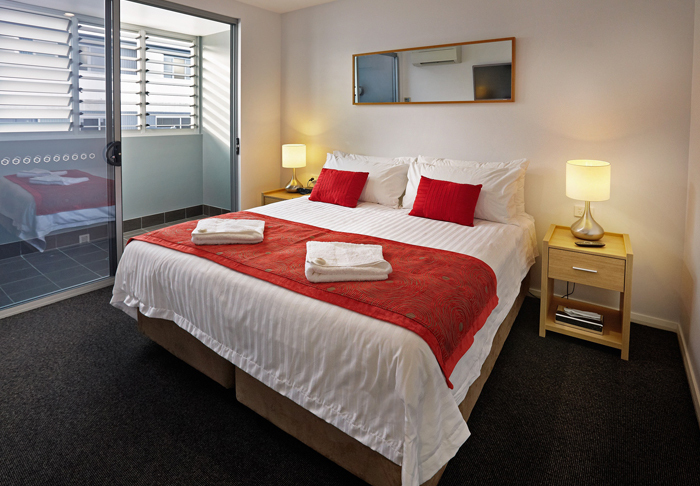 These rooms offer the best value for couples or executives travelling to Newcastle for one to two night stays. Spacious and fully furnished studio apartment. Modern bathroom with walk in shower. Kitchenette including microwave and bar fridge. On site laundry facilities or dry cleaning services (additional charges apply). Complementary use of onsite gymnasium. Car parking available on site (additional charges apply). 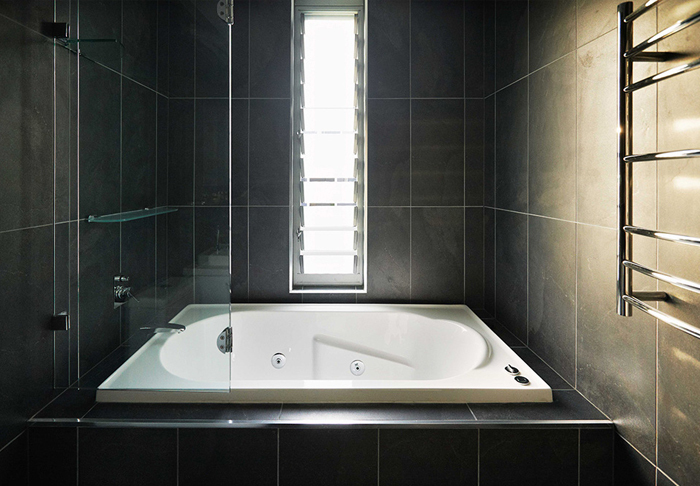 For a little more luxury indulge in a Studio Spa Apartment. Perfect for a special occasion or a little more comfort while working away for a night or two. Modern bathroom with spa shower bath. 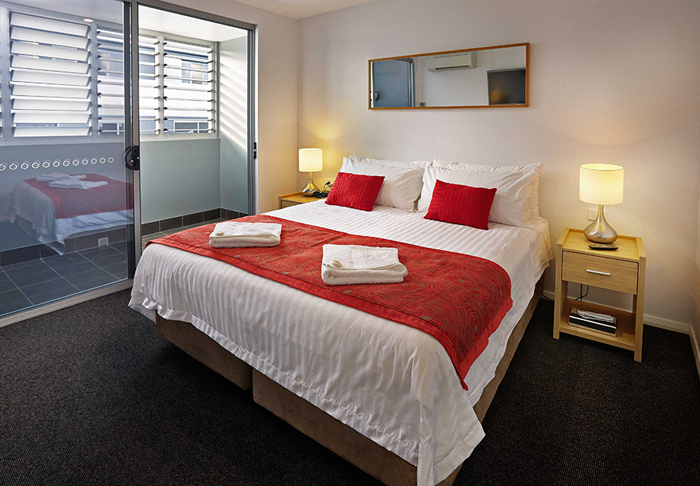 Deluxe accommodation including your own private terrace. Perfect for the corporate traveler or holiday maker with large open plan spaces. Private bedroom with ensuite and private terrace. Spacious fully furnished luxury living areas with private bedroom. Fully equipped kitchen with full size fridge, stove cook top, microwave and dishwasher. Option for an apartment on the ground floor or for an apartment on the upper levels. Extra bedding available with use of sofa bed or roll-away (additional charges apply). For one night, weekly or monthly.... indulgent accommodation perfect for the corporate traveller or romantic getaway with large open plan spaces. 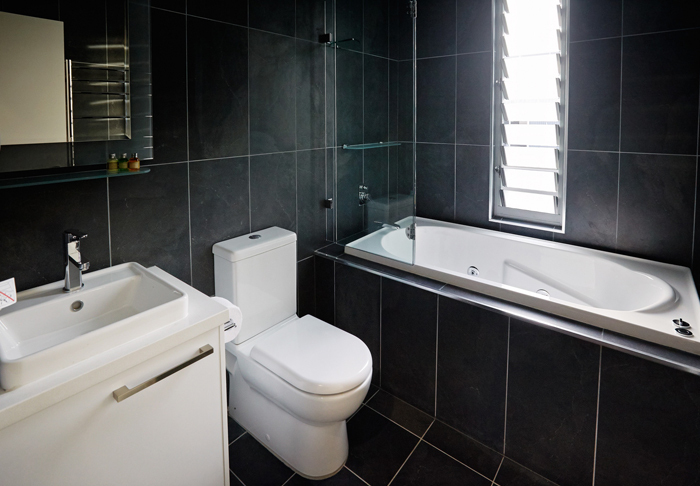 Private bedroom with ensuite, including spa and private terrace. Options available for an apartment on the ground floor or for an apartment on the upper levels. Extra bedding available with use of sofa bed or rollaway (additional charges apply $30 per person). Impressively designed in a townhouse style to offer extra space, these rooms are ideal for families or friends travelling together, or business executives in Newcastle for work. 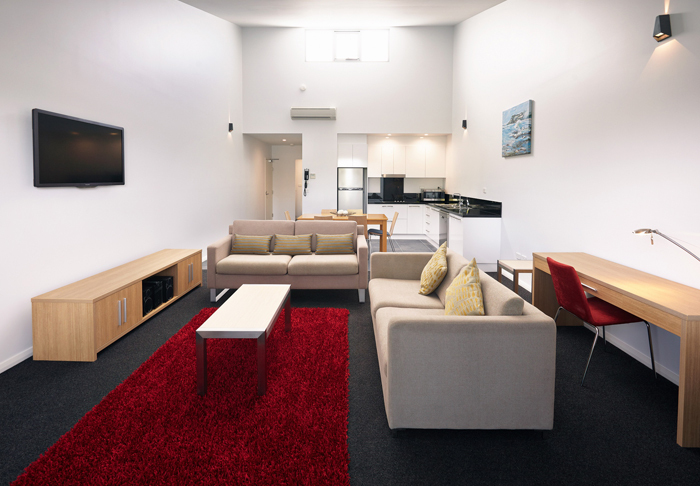 The two bedroom apartment caters for up to six people (utilizing sofa beds and or rollaways extra charges apply). Secure Car parking available on site (additional charges apply). The 3 bedroom accommodation options are ideal for larger families traveling together. Six to eight people can be accommodated (utilizing sofa beds and or rollaways). Spacious open plan living and dining rooms. Fully furnished 3 bedroom apartment. 3 modern bathrooms (some with spa). Extra bedding available with use of sofa bed or rollaway (additional charges $30 per person apply). Crown on Darby Meeting Room is available for hire and offers state of the art smart board technology and video conferencing equipment for your next meeting. Free Wi-Fi is available and boasts impressive speeds that provide real-time video conferencing. All of your meeting requirements including catering can be arranged.